I have 4 minutes left of my lunch break so I’m going to hispeed type this down and hopefully the formatting will be in the right place. On Tuesday I started a new temp job doing data entry at an energy company, the first day was more or less health and safety and company background. We started the morning with a kind of getting to know each other exercise. We were each given a sheet of flip chart paper and had to write a list of our likes/dislikes and our lives up to now with interesting achievements and things like that. I found that my sheet was really spread out on the top half but then the bottom half was really crammed together. I had to go first and walk the group through my whole chart. I’d included on there that I’d been support crew for Chris when he did LE2JOG and that I’d done part of the Tube Challenge with him – well that struck up a whole bunch of conversation about what the tube challenge was and how I came to be doing it. Wednesday started still in training, after lunch we did a bit more training then we were taken upstairs to the office we’d be working. Originally the plan was for us to buddy up in our team and then put into practice what we’d been learning but for one or another reason that wasn’t working so we buddied up with other people in the other team already doing the job we’re joining in with. The girlie I was paired up with was lovely and friendly and helped me to put the stuff I’d learnt into practice to get up and running. It was fairly easy and once you’d remembered where each detail would be you could nip through the records quite quickly. I was back with the same girlie again today – we chatted about how our evenings had been and what we had planned for the rest of the day after we finished work. I went for lunch at 1, my girlie went for lunch at 1:30 so for half an hour I ended up working with another pair, which was good because I got to see how someone else does the same task. After lunch I went back to working with my girlie. About 3ish we had a meeting back in the training room to see how it was going and to chat to the manager who’s above our Team Leader. While we were in the meeting we were discussing about other skills that we had. I said about my use of Excel and I might get given extra tasks which is quite exciting (scary but exciting lol). The good thing about the building so close means that I can walk to work. It’s really pointless driving (by the time I’ve reversed out the drive way and found a space at the other end I could be sat at my desk!) but I guess if it’s down pouring or something like that then it wouldn’t be the end of the world to drive. 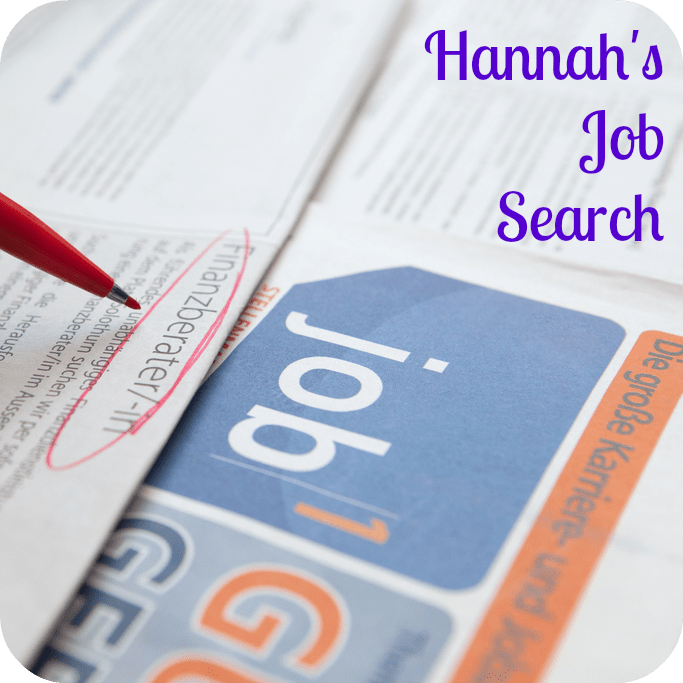 This entry was posted in Hannah's Job Search, Work and tagged job search.